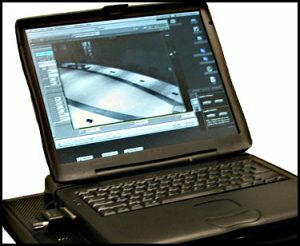 Detecting spy cameras is part of our normal TSCM service. However, there are times when it makes more sense to do-it-yourself; when inspecting restrooms and other expectation of privacy areas, for example. We teach businesses and individuals how to conduct inspections on their own. The following case histories show some of the covert video we have discovered. The photos are reproduced at slightly reduced resolution to preserve confidentiality. Video from inside the president’s office. Four-chair conference area in foreground. Presidentʼs desk and telephone near the rear wall. A wireless video camera broadcast picture and sound a distance of approximately 300 feet. Employees in an adjacent building always seemed to know about executive decisions before they were formally announced. 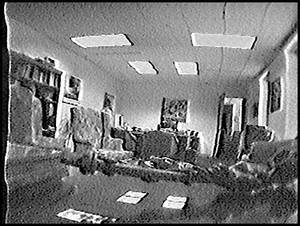 Camera was built into an item normally seen on the credenza. 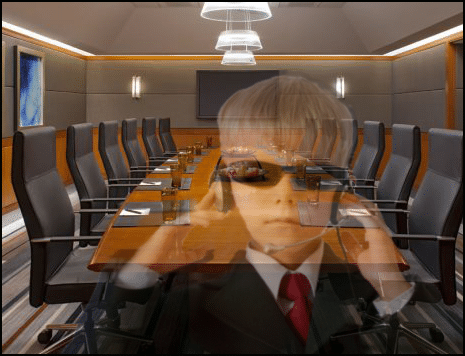 Covert video from inside sales room. Visiting product vendors were able to eavesdrop – from the parking lot – on strategic client discussions before, during and after meetings with them. 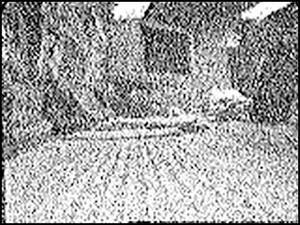 A wireless camera broadcast both picture and sound a distance of approximately 300 feet. The camera and microphone were built into an item normally seen on the display shelf. 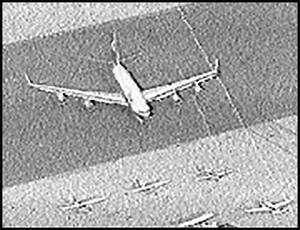 Covert video from a military drone. Location: Airport – 12 miles away from our RRSA® system. Covert video looking across a desktop. Location: Looking across a desktop to view a computer screen. 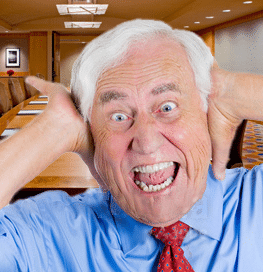 This eavesdropping video camera was not near the rooms scheduled for inspection. We discovered it anyway. Reduced picture quality is due to our distance from the transmitter. Covert video intercept. Street scene. 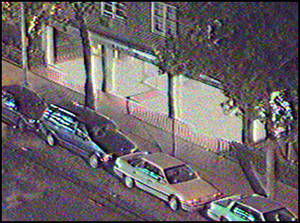 Location: Unknown – street scene at night. During our inspections we occasionally discover wireless video surveillance signals emanating from unknown locations. Even though these surveillance activities do not affect our clients, they are comforted to know we have the technical capabilities to detect this technology. 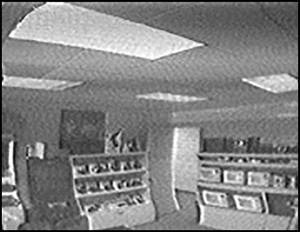 Wireless covert video cameras – with audio eavesdropping capabilities – are readily available at very low cost. Discovering, viewing and documenting their signals requires special expertise and instrumentation. It also helps to have a Recording in the Workplace policy in place. Entrust your quarterly inspections to someone who really can help you. Click here for details. 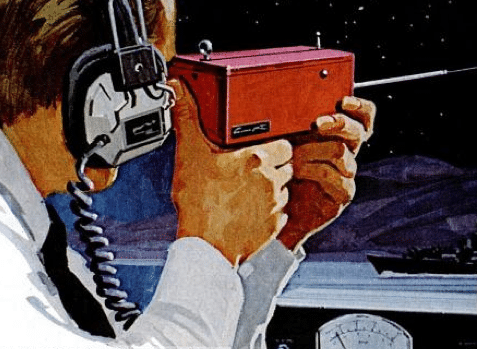 Covert Video Detection — First generation RRSA covert video interceptor. Designed by Murray Associates, 1997. The system included a: Macintosh G3 laptop, Watkins-Johnson 8607A & 9168, custom video inverter, and video capture modules. 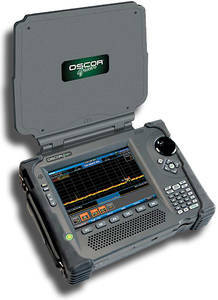 Our current covert video & audio spectrum analyzer. Designed by REI.